Hello! 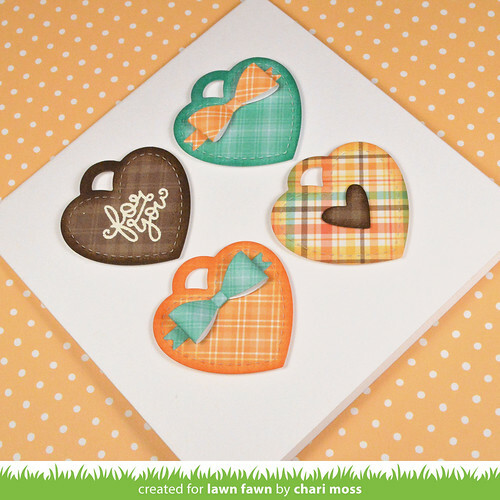 Today Lawn Fawn inspiration week continues with some new dies, the Scalloped Treat Box and Put A Bow on it. 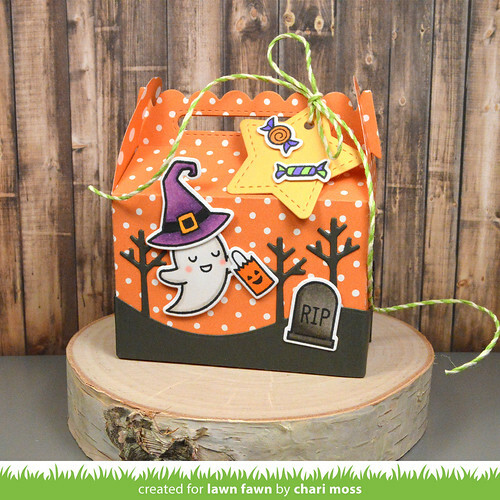 I cut this Scalloped Treat Box from Jack-O-Lantern Let's Polka in the Dark paper and wrapped it with the Stitched Tree Border die cut from Storm Cloud cardstock. I added images from Spooktacular and finished off with a star tag from Tiny Tags die set cut from Sunflower cardstock. For this card I cut some of the Perfectly Plaid Fall papers with the heart shaped Tiny Tag and inked the edges with distress inks. I added details to each heart with smallest Put a Bow on It bow, small die cut heart and white heat embossed sentiment from Tiny Tag Sayings. 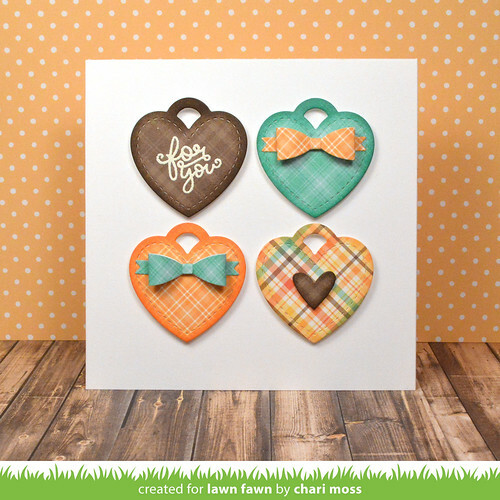 Be sure to visit the Lawn Fawn Blog for more projects, videos and giveaways! 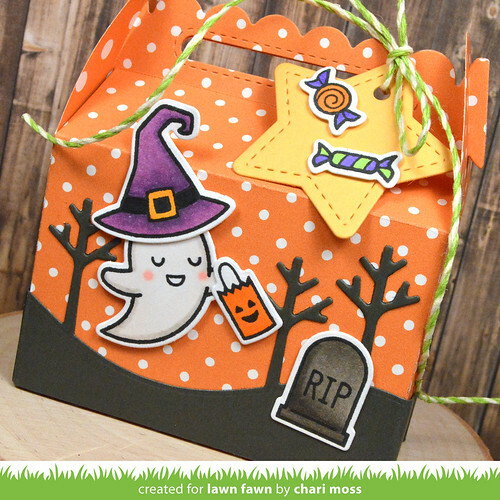 Love the orange polka paper on your Halloween themed treat boxes! So cute! Love that you used Spooktacular with some of the newer products, too! Oh my goodness I love this treat box die. This is sweet and so are the tiny tags. EEEEK! ♥ THEM! The treat bag is adorable! Love the heart card!